There area so many benefits that come from hiking, both mental and physical. 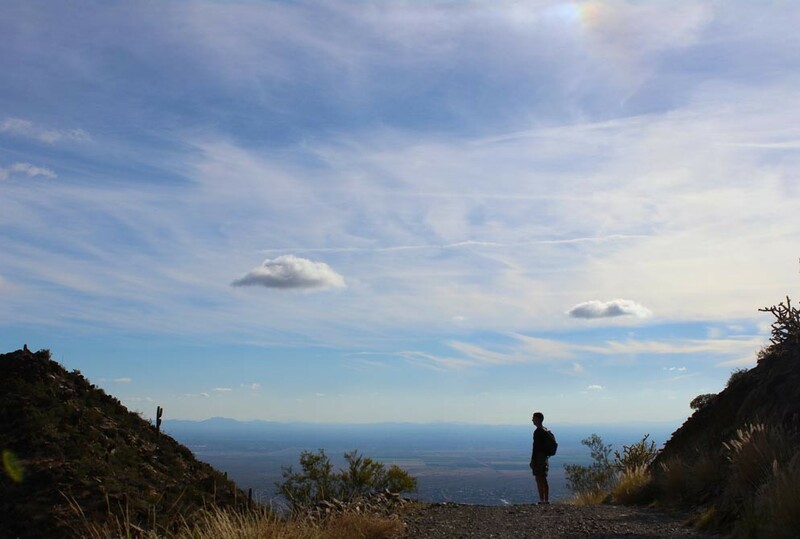 As an introduction, here are 10 great reasons to hike. Or almost free. As long as you have a good pair of sneakers and access to a trail, there are almost no costs associated with hiking. Some parks charge a minimal entry fee. From short, even trails to lengthy, steep ones, there are hikes to fit every ability. Current health guidlines recommend walking 10,000 steps (or approximately five miles) a day – for optimal cardiovascular health. Hiking is a fun way to reach this goal. Hiking is made up of essential weight bearing movements, such as: walking on inclines, stepping up and down objects, and balancing. These movements strengthen bone density and reduce the risk of fractures. Momentarily disconnecting from the demands of everyday life gives your mind time to relax and reboot, leading to increased concentration and creativity. Hiking opens the door to nature’s many wonders, planting seeds for discovery and exploration. From “Why is the sky blue?” to “Check out this toad!” hiking provides a multitude of conversation starters. Going on a hike with a friend or loved one, away from the distractions of television and social media, creates lasting memories and builds bonds. For many people, spending time in nature provides a deep connection to a greater spiritual realm. Experiencing a new place firsthand – getting up close and personal to its unique plants and landscapes – broadens your connections to, and knowledge of, the world. The physical and mental rewards of completing a hike, perhaps a little bit steeper or longer than you’ve done before, are invigorating! 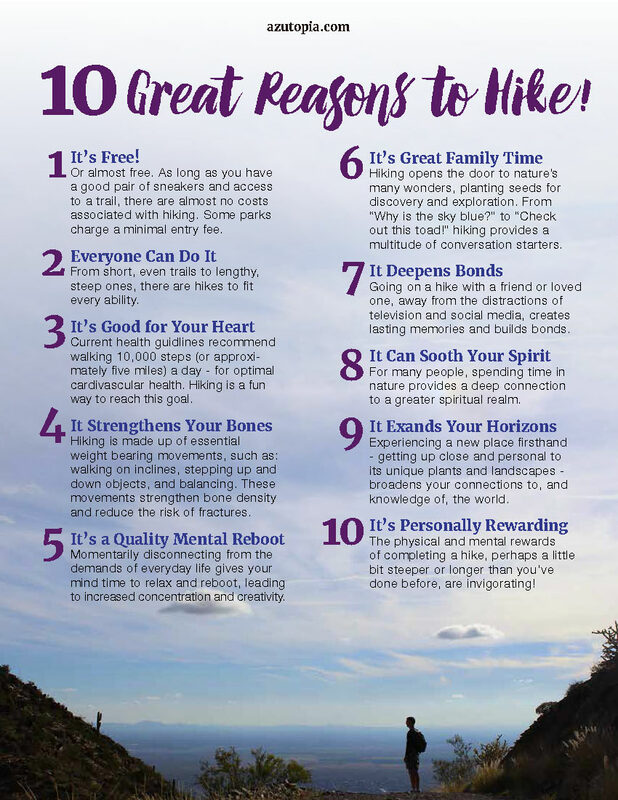 Download a shareable “Great Reasons to Hike!” poster here.